Spend a day dream, celebrating your event in Morosanto, maximize your results with wonderful views in an environment full of history dream. Weddings, communions, conventions, meetings with friends… Reserve your space, with or without service. Allow yourself to propose your options or let us put to your service our own experience. Site: BODEGAS MOROSANTO The visit with tasting wines in Morosanto consists of receiving the visitor in our reception terrace where the first part of the visit takes place, here it does to itself a brief explanation of the biological cycle of the vineyard and it is explained in whaich part of the cycle we are, at the same time that we observe from the point where we are a few spectacular views to the mountains, then we go into the elaboration room where we explain the transformation of the grape since it comes to this room, next we go on to the room of upbringing or cellar room where the visitors will be able to observe our barrels and the bottled wine and finally to the tastings room, where the visitors will taste our best wines. Site: Cortijo Morosanto Bodegas Morosanto, founded in 2005, is located in the old Cortijo Morosanto farmhouse in La Cimada, Ronda, on the headwaters of the Guadalcobacín River basin, at the foot of the Sierra de las Cumbres and just 10 km from the Roman city of Acinipo. 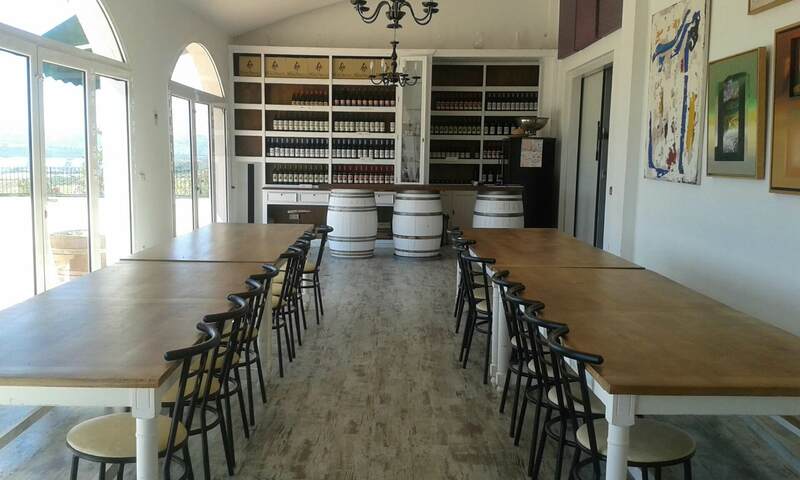 The estate is around 30 hectares, mainly given over to growing vines, with some olive trees and holm oaks on the hillside which occupies part of the plot of land. The great geotechnical features of the land can clearly be seen in the fact the Morosanto already produced wine between the 1st and 6th centuries, discovered thanks to the study carried out of the ruins found here of a typically Roman villa, with an urban area and another for industry. Wine production can be confirmed in the area, although until now the only evidence was the coins produced by the city of Acinipo, which depict a bunch of grapes.